Since Debenhams had a 10% off offer on recently, I thought I'd treat myself to (yet another) MAC lipstick. This time I went for Chatterbox, a gorgeous "bright red-pink" from the Amplified Creme range. 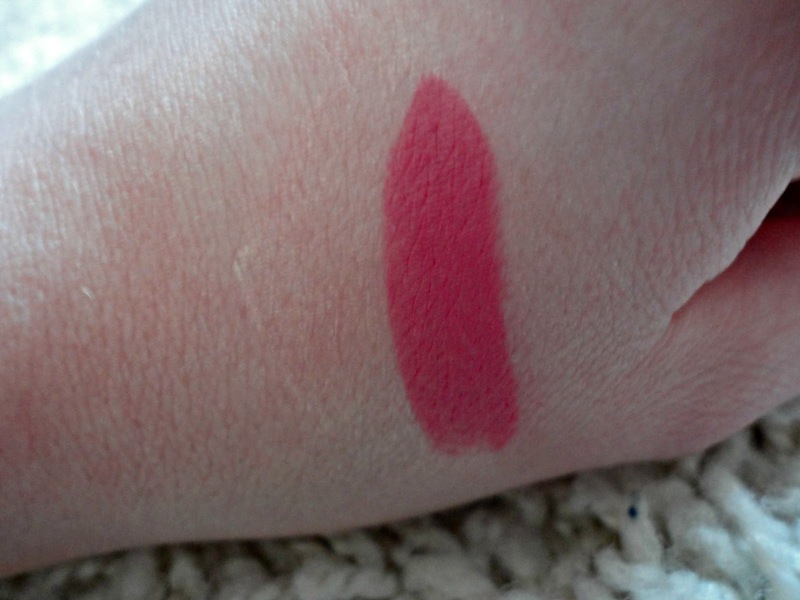 For reference, in the swatch above, I'm wearing it over lip balm so the colour isn't quite as bright as it usually is. I have to say, I love this lipstick! 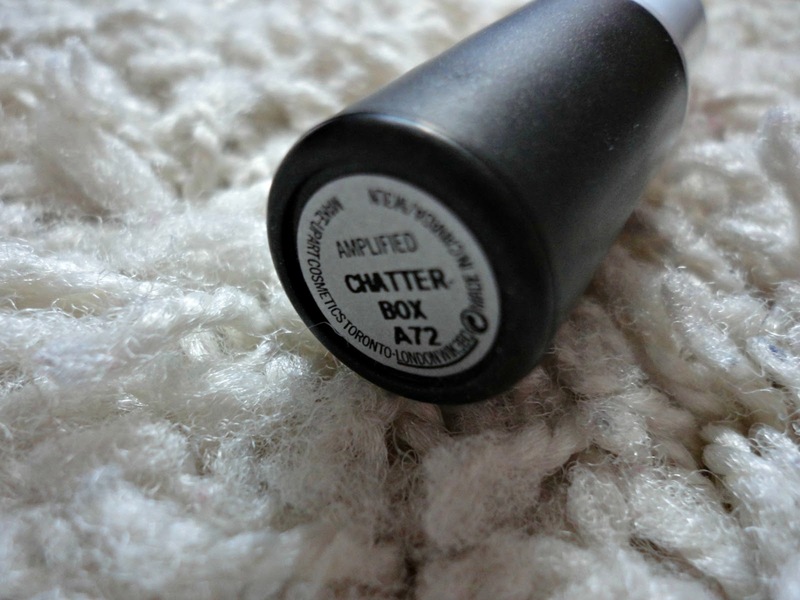 I'm a big fan of the "Creme" ranges anyway, as I had drying lipsticks so I already knew I'd love the formula of this. It applies so smoothly and doesn't feel drying on the lips at all. 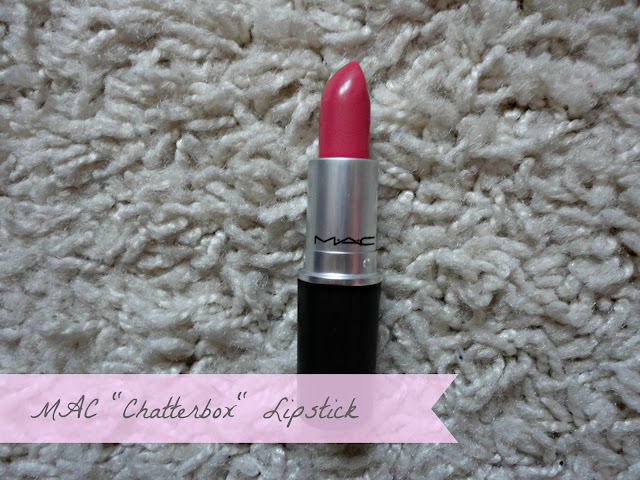 It's such a perfect 'pink' shade and is really buildable to make it as vibrant as you like! This would look gorgeous with pretty much every makeup look, but I think it especially makes a gold/brown smokey eye pop and would be the perfect accompaniment to a tan. As usual, MAC has not disappointed and this is another gorgeous shade to add to my ever growing MAC lipstick collection. I would even say I love it just as much as my beloved Creme Cup because of it's versatility and easy-to-wear formula. Next on my list is the lusted after 'Riri Woo' from Rihanna's collection which is apparantly being released again next month and I am determined to get it after seeing Emma wearing it in a recent post - the perfect red!